Based in Washington State, Ansur® has been producing treeless saddles for equestrians across a wide spectrum of disciplines since 1998. 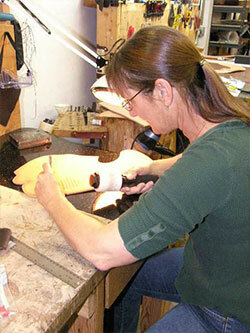 Custom-made and hand-made treeless saddles: we're proud that our saddles (materials and labor) are 100% American made. Of course, it all started with a horse! 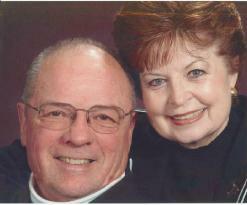 Bronze belonged to our founders, Carole and Don Weidner. Carole rode Bronze from the time he was a rambunctious youngster to an FEI level dressage horse. Carole earned national dressage championships with Bronze from the Morgan Horse Association and United States Dressage Federation throughout his competitive career. Bronze became the inspiration behind the first Ansur saddle, as he would not accept any traditional treed saddle put on his back. 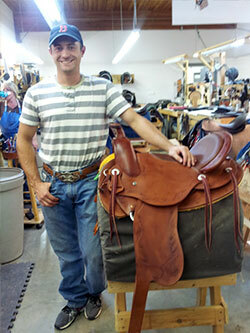 Others began to notice and ask for these saddles. With Carole's extensive dressage training and competition experience, and Don and Carole's many years in organizational and operations management working in other fields, Ansur Saddlery thus came to fruition to help many, many more horses needing a better solution. Don and Carole retired in late 2018, and we are honored to continue the tradition of Ansur Saddlery with the same principles in mind of a kinder solution for horses. 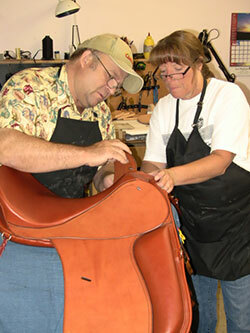 We encourage you to call and get acquainted, and we will assist you in getting the right saddle for you and your horse's needs!